PSP Marine Tapes have recently introduced a revolutionary new product to the market for any type or size of leisure craft. 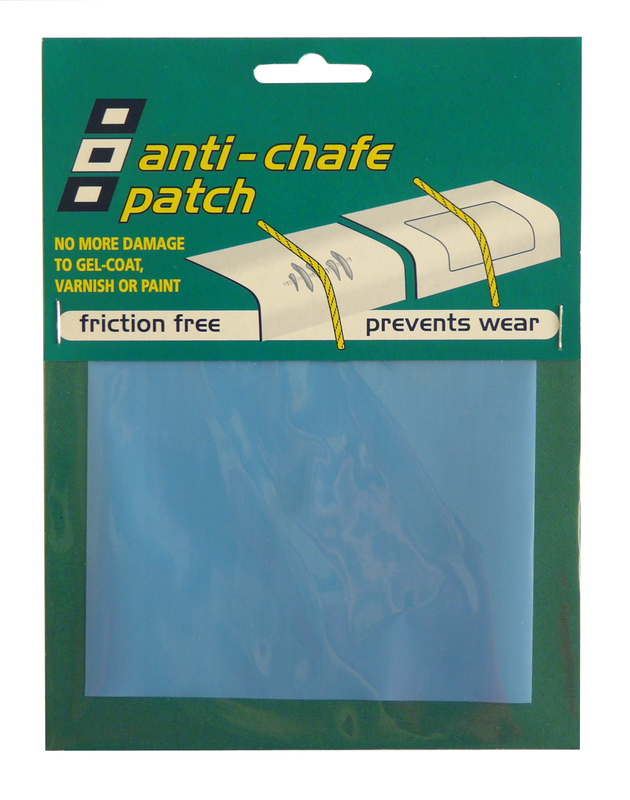 Not only do the Anti-chafe Patches prevent chafe and wear to gelcoat, varnish and paint, their unique UV resistant surface provides friction free running. To use, all you need is a pair of scissors to radius the edges of the clear, self-adhesive film patches. 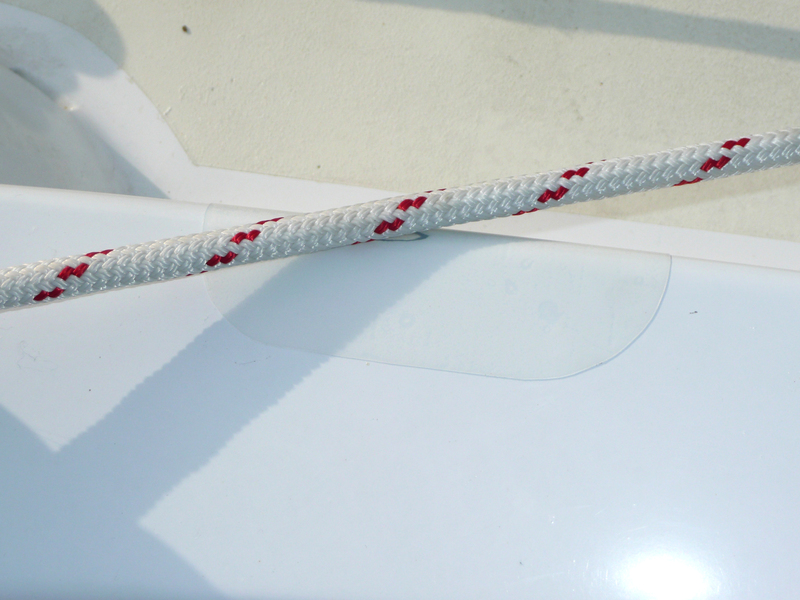 They can be cut to size to use around cleats or fairleads or even be applied to a dinghy or keelboat spinnaker chute for friction free hoists and drops. Vulnerable areas can be protected and as a clear product, it will not detract from the overall visual effect of any surface. The glue has been developed to be waterproof and has a strong adhesion with a good temperature resistance and proven longevity. Four patches in different sizes come in one pack. They are ideal for applications such as: spinnaker tube exits, deck coaming protection for rope chafing and many other applications. This tough, low friction plastic can also be used to line the sides of centreboard cases and rudder stocks to reduce friction. This PSP product can be obtained from your nearest yacht or ship chandler. PSP products are available in most countries in Europe and around the world and are easily recognisable from the striking logo, using the international code flags “Papa”, “Sierra”, “Papa”. PSP Marine Tapes have an enviable international reputation for producing specialist marine tapes for specific tasks for over 30 years. Their tapes are available in 35 countries around the world and are used for a wide range of fixings for all types of sail repairs, safety applications, fastening and on-board repairs. Specialist tapes are part of important ongoing development which PSP invest into future product and many products carry legislative approval.